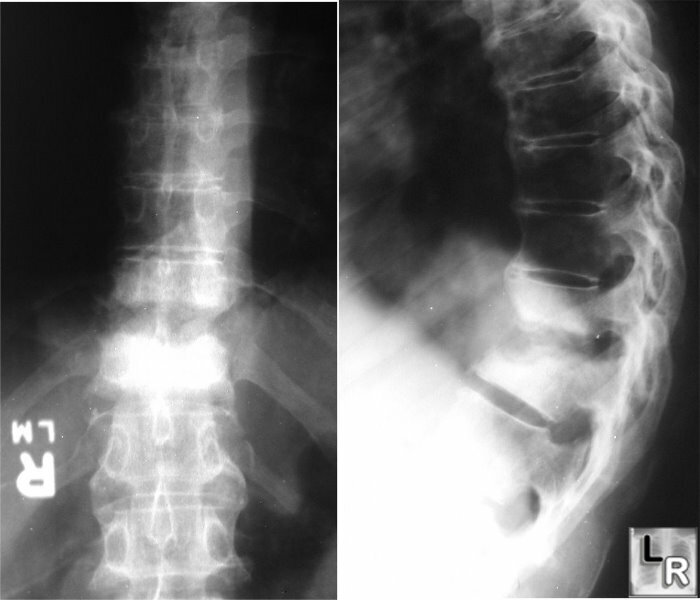 Discitis, Thoracic Spine. 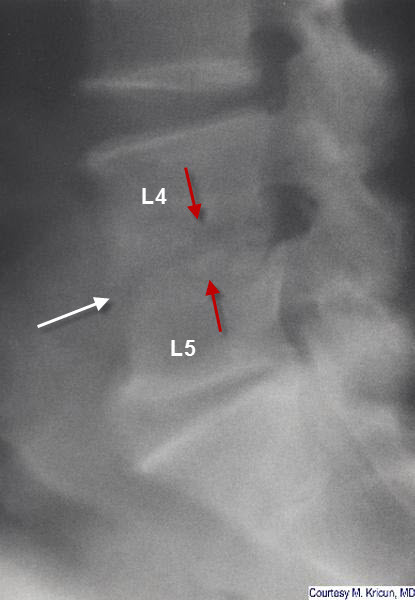 Frontal and lateral radiographs of the thoracic spine demonstrate destruction of the endplates of two contiguous vertebral bodies with considerable endplate sclerosis, findings characteristic of discitis. (red arrows) of L4 and L5 with narrowing of the intervening disc space.